Lock in a great price for Shanti Som – rated 9.3 by recent guests! Everything was so beautifully designed without being pretentious. The staff and the therapists were wonderful and the yoga sessions in the yoga pavilion with it being open to the air with views of the countryside couldn’t have been better. The food was good and healthy and the pool was lovely. Will definitely go back. Their staff are awesome - know you by name, friendly, helpful, expert (yoga, pilates, massage were all first class (especially Javier who fixed me with massage). Food lovely. Yoga good instruction and lovely rooms to practice in. Fabulous place! Great food, facilities, staff! Would go for the open fire alone! Staff were excellent. Common areas of hotel were beautiful. Great for relaxing. The Shanti Som combines Far Eastern decoration with the beautiful surroundings of the Sierra de las Nieves Nature Reserve. 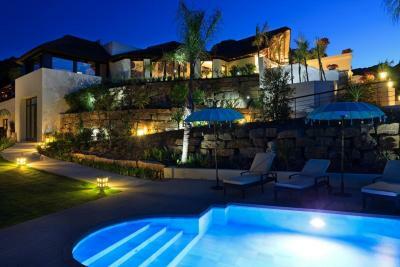 It has a spa and outdoor pool, and offers yoga classes. 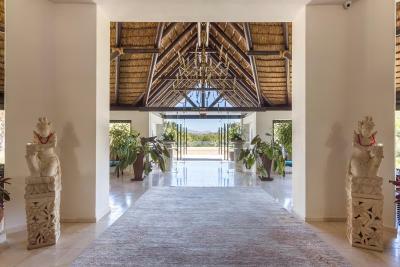 Built from local materials, the wonderful rooms have been designed according to Feng Shui guidelines. 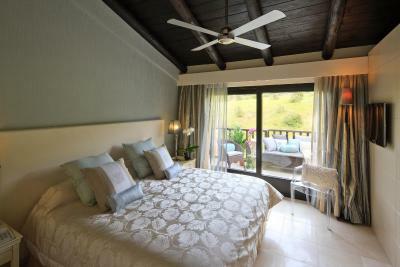 Each has a balcony with wonderful countryside views. 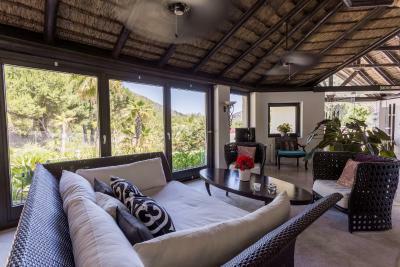 There is a large sun terrace with loungers, and a well-equipped gym. 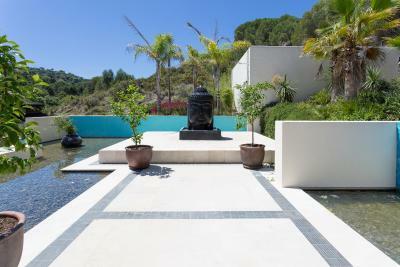 The property also has tranquil areas dedicated to yoga. 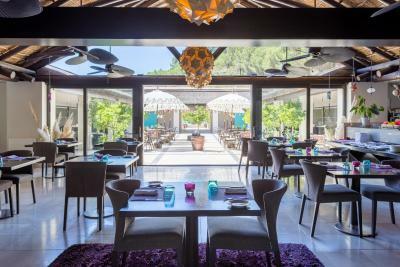 The Asian fusion restaurant at the Shanti Som offers balanced, healthy meals in a relaxed atmosphere. 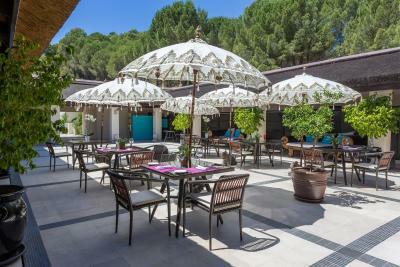 During the summer, guests can also dine on the terrace. Shanti Som is located 2.5 mi from the town of Monda. Marbella is just 10 minutes’ drive away. A shuttle service is available on request for a surcharge. 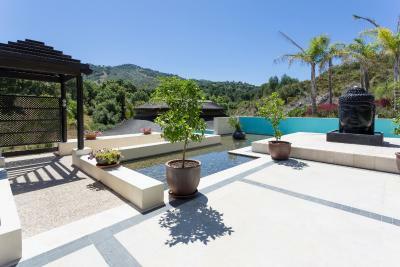 This property also has one of the top-rated locations in Monda! Guests are happier about it compared to other properties in the area. 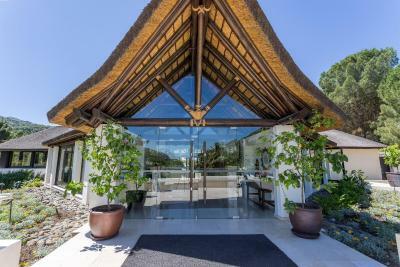 When would you like to stay at Shanti Som? This charming room features garden or mountain views. It has flat-screen satellite TV and a private bathroom with a rain shower. 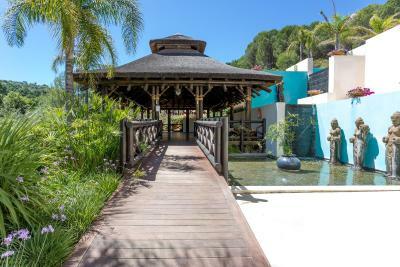 Shanti-Som Wellbeing Retreat is nestled in the midst of nature surrounded by the Sierra de las Nieves Nature Park and Biosphere reserve and has been carefully constructed respecting and incorporating local materials as well as following the guidelines of Feng-Shui. From the moment you arrive the retreat provides ample space to either relax in the rooms, courtyard or terraces or to simply soak up the sun by the pool. There is a sense of peace and serenity accompanied by the sound of water, in the streams, waterfalls and fountains of the retreat’s Oriental gardens. 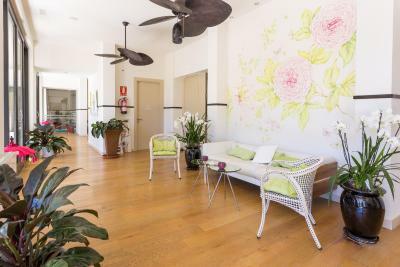 Surrounded by pine, almond, lemon and olive trees, Shanti-Som is ideal for those who want to combine the peace and quiet of the countryside with a day on the beaches of the Costa del Sol, which are only a few minutes’ drive away. House Rules Shanti Som takes special requests – add in the next step! Shanti Som accepts these cards and reserves the right to temporarily hold an amount prior to arrival. Please inform Shanti Som of your expected arrival time in advance. You can use the Special Requests box when booking, or contact the property directly using the contact details in your confirmation. No comment. Everything met my expectations. I perhaps needed a little more pre-planning of activities to avoid clashes and ensure that all preferred spa activities could be scheduled. No coffee in the room, there was different kinds of tea but it would have been nice to have a coffee, even decaf! Small points - would prefer more hikes, runs in the close area. Need better pillows! Bedrooms are not sound proofed?! Could hear entire conversation next door. Also rooms are not very generous size wise. But ok. The rooms need to be soundproofed. The food was amazing and the staff who served it were the stars of the Shanti Som show. Take a bow Jana, Amelia and Raquel. Hats off too to Javier-Antonio and Gonzalo at the front of house who couldn't do enough to help. A fantastic Spa team and fantastic management team. Overall, quite the most wonderfully relaxing holiday experience for all of us. Can't find anything to criticise. The hotel will not appeal to everyone, there were several single people there who seemed keen to be left alone. It's not for people who are looking for entertainment, the emphasis is very much on peace, quiet and calm reflection. A very peaceful location and yet not far from the coast. Lovely setting with relaxed ambience. The food was good and the dining area was excellent. In fact all the public areas were beautifully designed. The bedroom was adequate. Shower rather than a bath in our room.